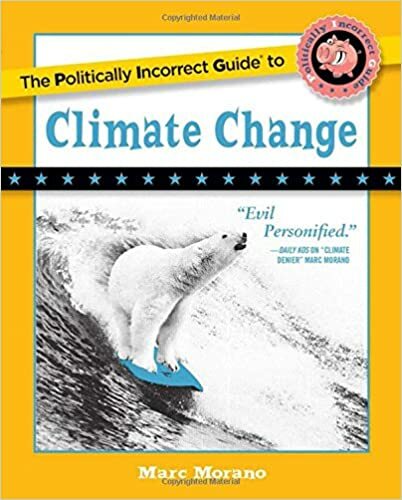 Morano: In my new book, 'The Politically Incorrect Guide to Climate Change', I go back and show that in 1901, 1922, 1979 and 2014, 2018 that they've come up with Antarctic melt scenarios over and over. I also point out that in 2015, a NASA study showed Antarctica was gaining it and actually contributing to a sea level lowering. This new study which, by the way, it used observational data but to enhance that they used models, climate models -- not even actual data -- they simulated what they thought the actual ice conditions were and it gives them a huge fudge factor. Morano: In my book, I go back to the 1960s and I show no matter the environmental scare, famines, scares, all sorts of calamities, they always had same solutions no matter the scare. They always wanted central power, redistribution of wealth and global governance. Now the Berkeley city council is following that same line -- even though the new projections of population show a decline in population as we go forward into the 21st century. More importantly, their own governor -- Jerry Brown -- has said global warming will kill 3 billion people. (See: OVERPOPULATION SOLVED! Gov. Jerry Brown Claims in 2018: 3 Billion+ Will Die from ‘Global Warming’) Now here's the problem. The Berkeley California city council is worried that overpopulation will lead to global warming -- but their own governor is saying that global warming is going to kill 3 billion people. Problem solved Stuart! Global warming will kill the excess population. Varney: (laughing) Ohhh. Oh, we gotcha. Morano: There you go! We just solved it! Varney: (Laughing) Alright Marc, we did hear you. Marc Morano everybody. Thanks for joining us, sir. We will see you again soon. Host – Stuart Varney: A new study suggests Antarctic ice is melting at triple the speed of the last decade. The pace of melt has speeded up dramatically. Joining us now is Marc Morano who is a climate change skeptic. I read this in the New York Times, the big picture of Antarctica, the ice is melting double the speed or triple the speed and sea level rates are rising. They say it’s because of human activity. What say you? Marc Morano: The NYT article had to issue multiple corrections because it had all kinds of different claims in their article. Second of all in my new book, ‘The Politically Incorrect Guide to Climate Change’, I go back and show that in 1901, 1922, 1979 and 2014, 2018 that they’ve come up with Antarctic melt scenarios over and over. I also point out that in 2015, a NASA study showed Antarctica was gaining it and actually contributing to a sea level lowering. This new study which, by the way, it used observational data but to enhance that they used models, climate models — not even actual data — they simulated what they thought the actual ice conditions were and it gives them a huge fudge factor. But keep in mind, this is only over a decade or so, a very short timescale. And then they extrapolate out into the future all these scary scenarios. 1921, they were doing the same thing. Antarctica is there go to scare. (On a separate note) Sea ice (as opposed to Antarctic land-based ice) was predicted to decline years ago and then we had record amounts of Antarctic sea ice and then they said see increasing ice was consistent with global warming. They are jumping all over the place. But this latest study flies in the face of previous studies including NASA’s study. Varney: Let me wrap this all up and generalize. We are told climate change, that the climate is changing, you can call it weather if you’d like but it’s climate change and its happened in part because of human activity. Do you dismiss that entirely? Morano: No I don’t. Let’s put it this way. There are hundreds of impacts on the climate. You cannot distinguish humans impact from the natural variability and there’s nothing unusual going on including hurricanes, floods, droughts provide detail that these are either on no trend or declining trend on climate timescale. Though go five or ten years and try to cherry pick a time frame and extrapolate and come up with doom. 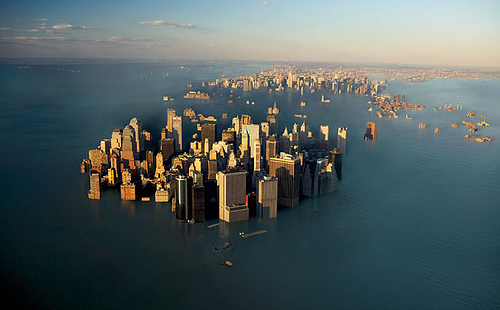 If you look at sea level rise there’s no acceleration according to gauges but they keep coming up with scare after scare in the media because scientists are driven to get headlines and attention and its speculation. It’s all speculation. Varney: At Berkeley, they say a mass extinction is coming in there pushing for population control. React to that. Morano: In my book, I go back to the 1960s and I show no matter the environmental scare, famines, scares, all sorts of calamities, they always had same solutions no matter the scare. They always wanted central power, redistribution of wealth and global governance. Now the Berkeley city council is following that same line — even though the new projections of population are showing a decline in population as we go forward into the 21st century. 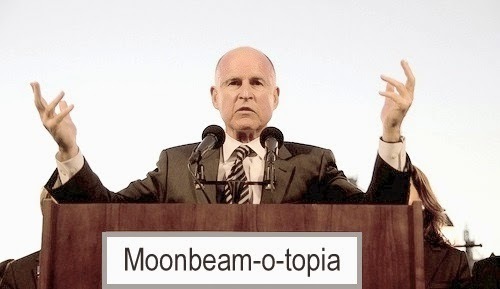 More importantly, their own governor — Jerry Brown — has said global warming will kill 3 billion people. (See: OVERPOPULATION SOLVED! Gov. Jerry Brown Claims in 2018: 3 Billion+ Will Die from ‘Global Warming’) Now here’s the problem. The Berkeley California city council is worried that overpopulation will lead to global warming — but their own governor is saying that global warming is going to kill 3 billion people. Problem solved Stuart! Global warming will kill the excess population. Varney: (Laughing) Alright Marc, we did hear you. Marc Morano everybody. Thanks for joining us sir. We will see you again soon. Media hypes ‘disgracefully misleading’ Antarctica study – Scare over potential one inch per century of sea level rise – Despite the apocalyptic headline, ice loss has only been contributing about 0.3mm a year to sea level rise, about an inch per century. Given that sea levels have been rising at around 8 inches a century since the 19thC, there is no evidence that this is not a long-term phenomenon we are seeing…Indeed as Shephard himself is forced to admit, we did not start collecting data until 1992. This sort of melting could have been going on for centuries or longer. In fact, another paper published this month by Kingslake et al finds that there has been extensive retreat and re-advance of the West Antarctic Ice Sheet during the Holocene…Then there is the question of the accuracy of measurements. A major study by NASA in 2015 discovered that Antarctic ice mass has actually been increasing since 1992, basically because of greater snowfall, and not decreasing as this new study claims. In reality, measurements of ice mass are not exact and are subject to huge margins of error. From the abstract we find tiny fractions are written up as big numbers of small units with no real context. Then they extrapolate a 6 year trend on an ice mass that’s been around for millions of years. Adding up the losses, in this “worst of the worst” scenarios Antarctica might be losing 187 billion tonnes of ice per year (give or take a lot). That’s 187 cubic kilometers of ice, which sounds like a lot until we look at the size of the Antarctic Ice Sheet (29 million kilometers cubed). At this new “accelerated” rate the total loss is one 155,00oth of the total mass. Expressed another way, it’s 0.0006%. At this rate Antarctica will be entirely melted 155,000 years from now.